Create your own custom shaped coaster! 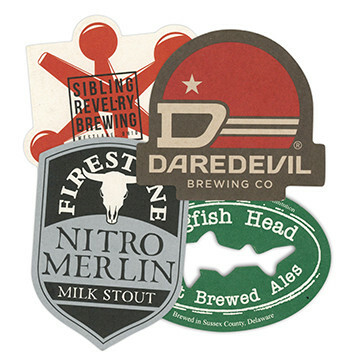 Custom die-cut coasters are a great way to make a huge impact on your customers and make your beer stand out. All coasters are made of premium European pulpboard and are available in 40pt (lightweight), 60pt (medium weight) or 80pt (heavyweight). All coasters can be printed 4-color process, 2-sides or up to 4-spot colors, 1 or 2-sides.